Hough, Adamski & Partners is one of the leading Law Firms in Poland with offices in Warsaw, Riga, Tallinn, Vilnius, Kyiv, Moscow and Saint-Petersburg, established in 1995. Polish lawyers and attorneys of the Law Firm in Warsaw provide full range of legal services, counsel and advice private individuals and foreign companies, specializing in commercial litigation. The Law Firm provides legal services and assists in registration and business incorporation, company formation and obtains. Lawyers and attorneys of the Firm in Warsaw assist their clients on purchase of real estate, consult clients on company formation and transacting business or obtaining legal representation in Poland. 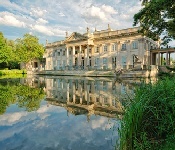 Polish Law Firm provides legal advice concerning Polish laws, represent clients in Polish courts of all jurisdictions. Lawyers and attorneys in Warsaw office are experts in the Polish and International laws and assist clients at a higher international standards level. The Law Firm provides legal advice regarding Polish corporate law, including company formation, business incorporation and obtains a living permit and work authorization. Lawyers and attorneys of the Firm assist clients drafting foundation agreements and shareholder agreements, organize joint venture structure, and reorganizations of businesses and M&A. 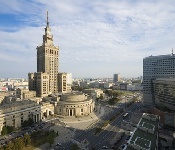 Attorneys of the Law Firm in Poland advise clients on purchase of real estate and register a property, obtain title and receive a residence permit, advice on inheritance matters and provide legal support for a construction projects, intellectual property law and labour law, including draft employment agreements and represent employers in a labour negotiations. Attorneys of the Firm in Polish office serve their clients in the English and the Polish languages. Lawyers of the Firm provide legal advice concerning banking law, securities laws, corporate taxation and VAT regulations, commercial law, distribution and sales agreements, franchise agreements and security arrangements. The Firm's Polish attorneys advise clients with respect to international trade law, real estate law, construction law, intellectual property law, patent, trademark and copyright law and labour law. The Office of the Law Firm in Warsaw provides bookkeeping and accounting services, prepare legal due diligence, tax and financial due diligence reports. Hough, Adamski & Partners and its Polish attorneys assist clients to receive licenses and permits for construction work, as well as for construction projects work and engineering survey.